Newport Skinny Tea wants to deliver energy, help with digestion and speed your metabolism using the world’s most precious ingredients that are proven to work. No other companies have made teas with their concoction. They promise that their specialized blend of potent ingredients will help achieve someone’s ideal body & health, make you feel and look vibrant, and be beautiful inside and out. These special blends have been used around the world by athletes, models, and even celebrities. 1. What inspired you to create Newport Skinny Tea? I was going through a healing period from illness and discovered the healing powers of Tea and herbs, their beauty enhancing properties and how they defend against aging and illness, plus assist the body at making and using energy and help protect against weight gain. Also, I really wanted something delicious to drink that didn’t have sugar. Tea is the star ingredient, plus all kinds of beneficial herbs, the mission of our brand is to help women feel and look vibrant, healthy and beautiful naturally. 3. What is your favorite Newport Skinny Tea product and why? Our newest tea is Aurora Borealis and it changes from blue to purple when you add lemon, my other favorite is the Unicorn Magic Happiness Tea- I designed it for myself. I carry black tourmaline with me everyday to absorb negative energy around me, who needs bad vibes? I’m also never without Argan Oil, Kylie lipstick and Gucci Bloom perfume. Confidence in expressing your authenticity. Morning is very fast - argan oil before i head to the gym with a bit of mascara and blush, in the evening I really like Dr Gross peel pads, the dermatologica system and then Perricone Cold Plasma + argan oil. Drink Antioxidants every day, lots of tea will protect your teleomeres and help stop skin wrinkling, also red wine. Plus sweat daily. 8. 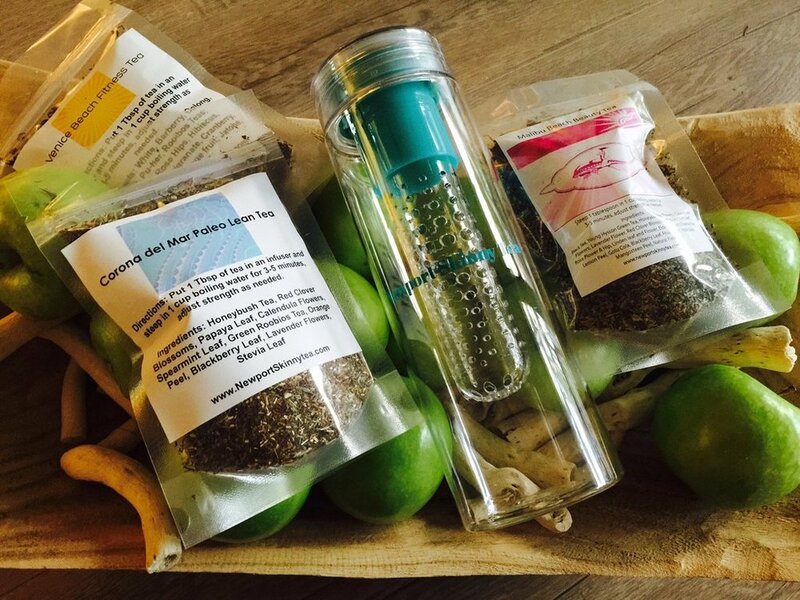 What's next for Newport Skinny Tea? We’re changing things up- look for more magical products to integrate into your everyday rituals to help level up your lifestyle. We are so happy to be involved with Blushcon, we’ve made a discount code “Blush” for 25% off any purchase through 2/28/19.